Let’s get together today: You, Us, and Your European import! It’s a match made in Auto Repair Heaven at our full-service auto repair facility. Seriously, we may not be angels, but our technician can make your engine’s smooth performance feel like you’re floating on Cloud 9. 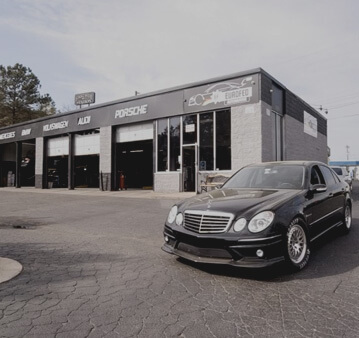 EUROFED Automotive in Snellville, GA is the service destination that you’ve been looking for. And we’ve been looking for you too! We know that import owners’ vehicles need special attention. All Snellville motorists who are behind the wheel of an Audi, BMW, Porsche, Maserati, Lamborghini, Volkswagen, or any other European import should know EUROFED Automotive is head and shoulders above all general auto repair shops. Most import drivers are particular about which technicians are servicing their vehicle. Owners bring their imports to the dealerships for expensive and impersonal auto repairs and maintenance. There’s a better option--EUROFED Automotive--ready to put and keep your import at peak performance. In fact, we’ll show you how to avoid costly auto repairs altogether. It’s possible with a preventative maintenance service plan that keeps you two steps ahead of any performance issue. We don’t mean to brag, but we do believe in being honest. We’re really good at what we do, providing top quality auto repairs for all European imports. Our team understands your import because we share your passion for European imports. EUROFED Automotive is a team of well-trained experts, experienced and educated on all makes and models of European imports. Make us your go-to service facility for all imports. Quality customer service is what keeps our customers coming back to us for all of their vehicle’s needs. We go above and beyond to meet and exceed all of your expectations. Get a bigger return on your investment in safe, comfortable, luxury road travel. At the first sign of any performance issue–knocking engine, noisy brakes, rough gear shifting, etc.–bring your vehicle to EUROFED Automotive. The sooner we can take a look under the hood, the sooner we’ll have you back on the road. We stand confidently behind all of our European auto repairs with a competitive service guarantee–2 Years / 24,000 Miles Warranty. Drive your import away from our shop in the best condition possible. All of our customers know better than to worry about their road trips, morning commutes, and daily schedules. Because they’re on one of our specially-designed maintenance service plans, they avoid all those inconvenient system malfunctions. EUROFED Automotive is the best option throughout the greater Atlanta area for exceptional European auto repair services. Give us a call today at our Snellville East location–678-404-5051–to schedule an auto repair appointment. You can save time by scheduling right now using our convenient online scheduling system. Next time you’re in the area–2025 Main Street East–feel free to stop by with any questions or concerns.